Let’s Shake, Rattle and Roll with Chandon! After our Chandon Wine Pairing with Dan Buckle, we headed up to the next floor of Eight Gourmet Gala for an amazing Chandon Cocktail Masterclass! Just before we started our Chandon Cocktail Masterclass, Senior Winemaker Dan Buckle presented this year’s Chandon Limited Edition Brut Classic Summer 2015. Going in themed with Chandon summer colors, this year’s red, white and blue nautical stripes reminded me of summer sailing and the gorgeous summer spent on the beach and sea. The Chandon Limited Edition Brut Classic Summer 2015 is refreshingly soft and dry finish with a complex summer apple and pear notes. There is a very delicate hint of citrus spice over notes of almond as well. I was excited! Cocktails are my thing and I can’t never resist a bubbly or a cocktail. EGG’s talented cocktail maestro unveiled his serious cocktail gadgets and proceeded to guide us in making our first cocktail, the Tequila Royal. After mixing all the liquids for the Tequila Royal, we topped it off with Chandon Brut and finished with a lime twirl! The Tequila Royal is refreshing and so perfect for our hot and humid climate. Next up, we also made Apple Gin Fizz, another delicious fruity and tangy cocktail with gin, apple juice, lemon juice, syrup and Chandon Brut of course! I love cherries… let’s Pop in the Cherry! Now everyone stands a chance to win a Chandon Summer Limited Edition bottle every month in June and July. 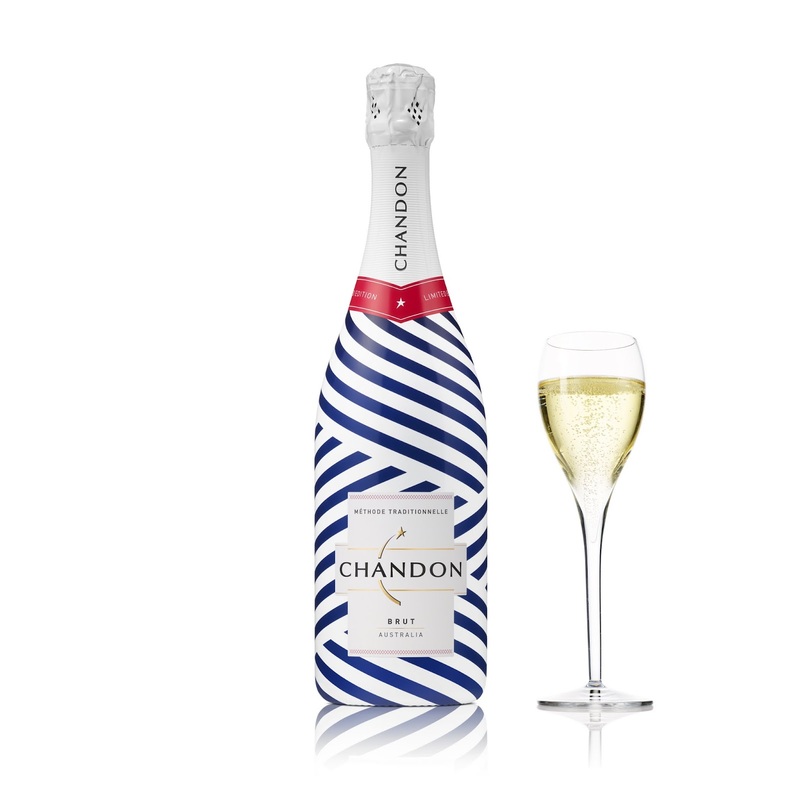 Step 1: Snap your best picture with the Chandon Summer Limited Edition life-sized bottle. Step 3: Get the most likes on your picture in Instagram to stand a chance to win the Chandon Summer Limited Edition bottle! Winners will be contacted through Instagram. Contest period: June – July 2015. Kindly ensure that you enable your Instagram post to be viewed by public for tracking purposes. Make sure to enjoy your Chandon Summer responsibly and Good luck! Thank you to Moet Hennesy Diageo and Geometry Global for the awesome Chandon Experience!